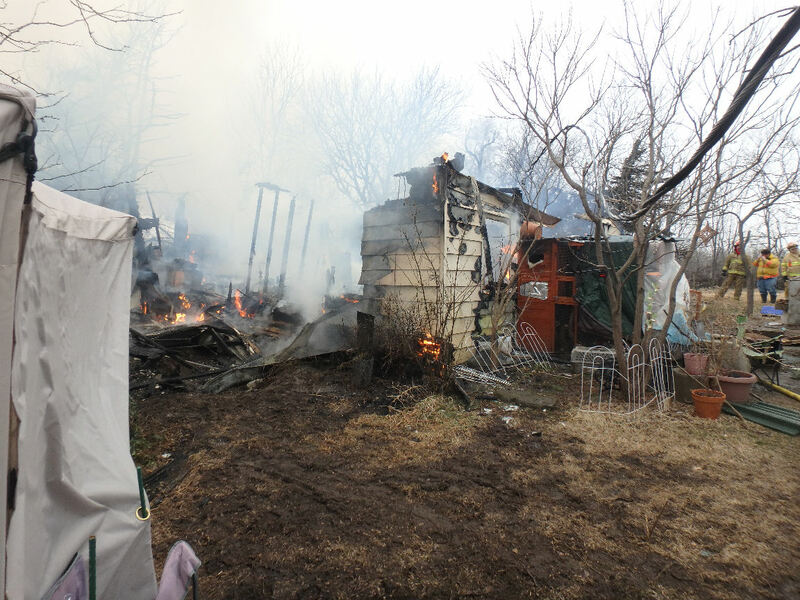 A rural home southeast of Salina burns to the ground with pets inside Wednesday morning. Saline County Sheriff Roger Soldan tells KSAL News that fire crews were sent to 5493 S. Cunningham Road after an area resident reported smoke coming from the house. The home was soon engulfed in flames and the roof collapsed as first responders arrived. The home, owned by Dr. Dorothy Hanna is listed as a total loss. She told deputies she left a space heater on inside to keep her 10 cats warm. The home and its contents are valued at $55,000. The pets did not survive. Dr. Hanna was not at home when the fire ignited and no persons were injured.